It's a Tie?! Amy Adams and Patricia Arquette Both Win Best Actress at Critics' Choice Awards - Integration Through Media ....! 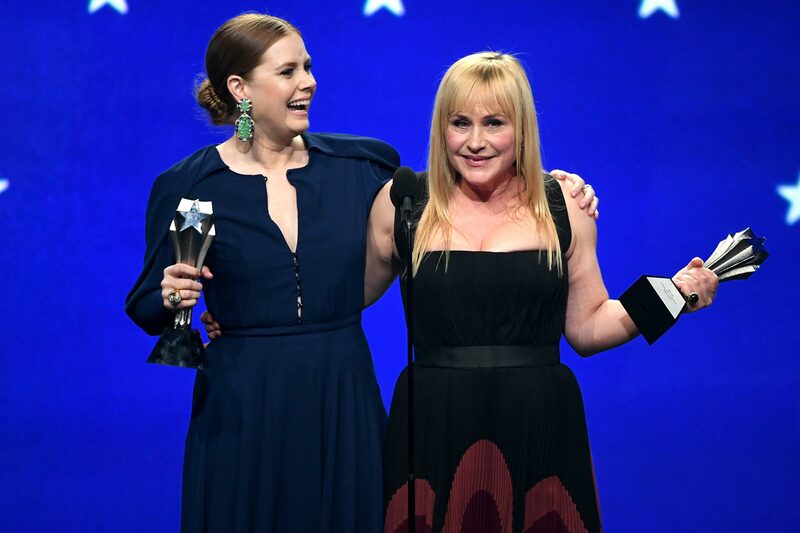 Both Amy Adams and Patricia Arquette scored a Critics’ Choice Award for best actress in a limited series on Sunday night. That’s when she announced Arquette as the second winner, for her performance in Escape at Dannemora. The crowd roared with excitement as the ladies embraced before giving their acceptance speeches. Arquette, 50, was also overwhelmed with gratitude. “I want to thank Ben Stiller — our incredible, courageous director who really let us explore and remove the yoke from my neck that I felt I’ve carried my whole career of, ‘But is she likable?’ Thank you for taking that off my neck. It was really heavy for me to carry that long,” she said. “Thank you Showtime for this. A lot of friends of mine who might be bigger body type said, ‘Thank you. For once in my life, I got to see a bigger boned woman or a different body type woman be sexual, unapologetic and not have it be a fetish or a joke,” Arquette said of her character Tilly Mitchell. Both women were also nominated in the same category at the 2019 Golden Globes, where Arquette was the winner. Arquette also spoke of her character during her Golden Globes acceptance speech, explaining she was given multiple sets of false teeth to portray her role. “How many f—– up teeth does a person need? I was born with f—– up teeth!” Arquette joked. The 24th Critics’ Choice Awards, hosted by Taye Diggs, are airing live on the CW.